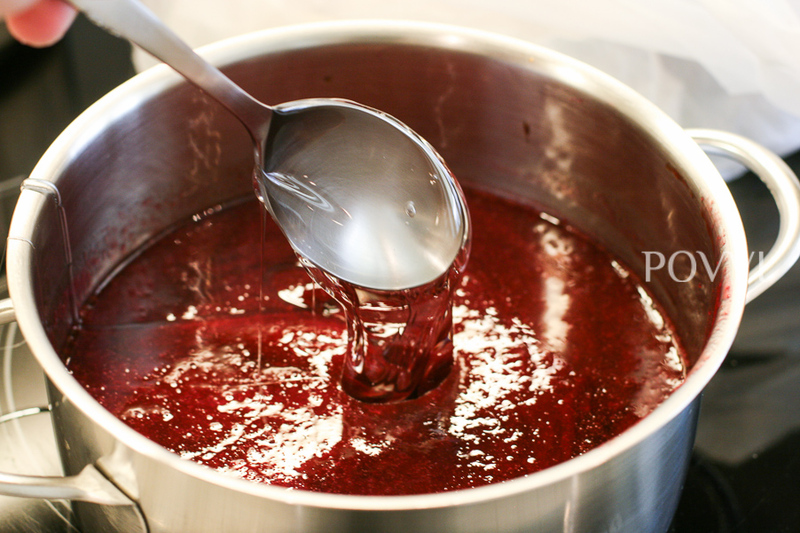 The hottest news from Paris. 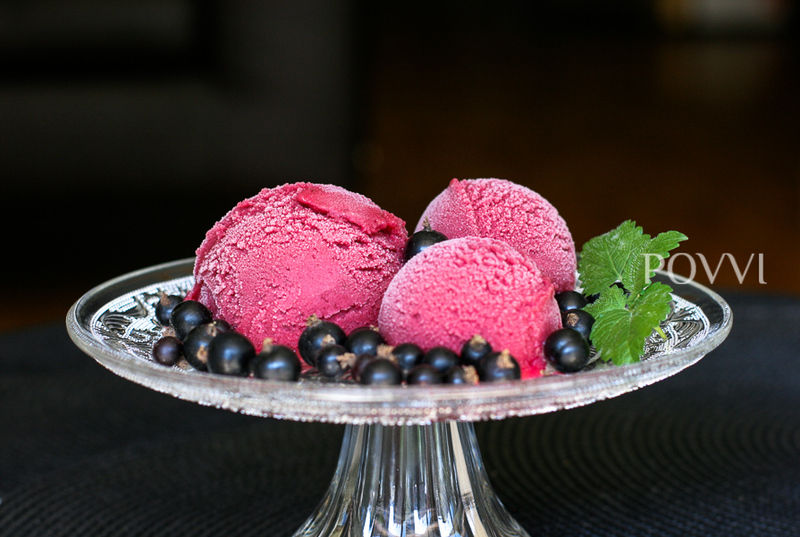 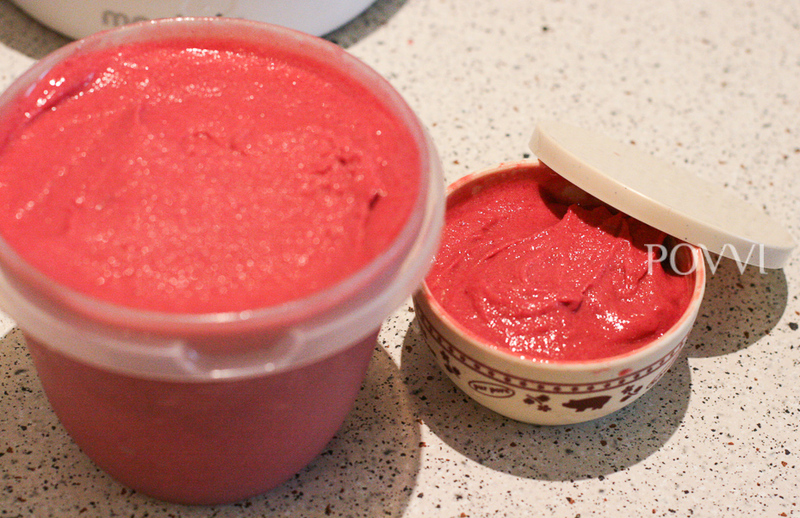 Exclusive sorbet with blackcurrant liqueur Créme de Cassis. 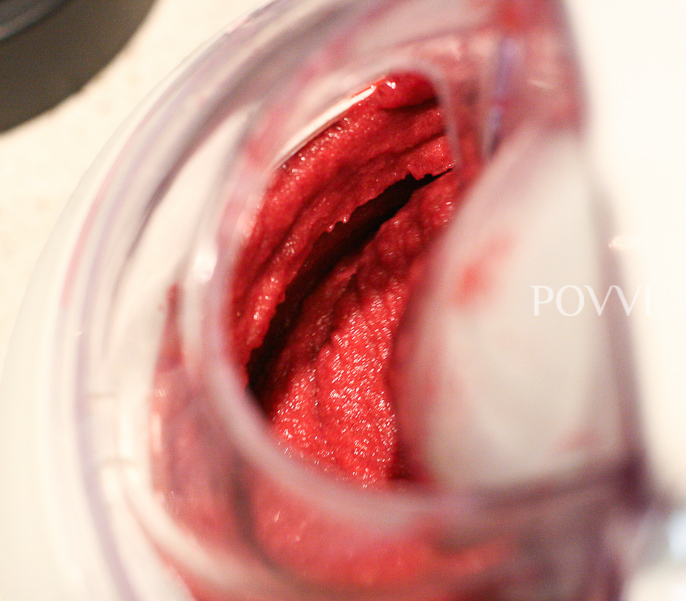 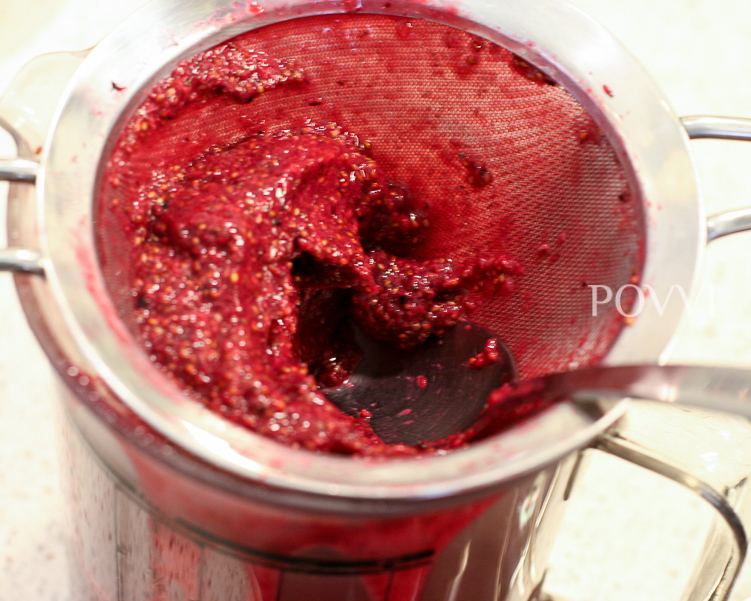 Rinse the berries, puree them in a food processor and put them through the food mill, so skins, pips and stalks behind. 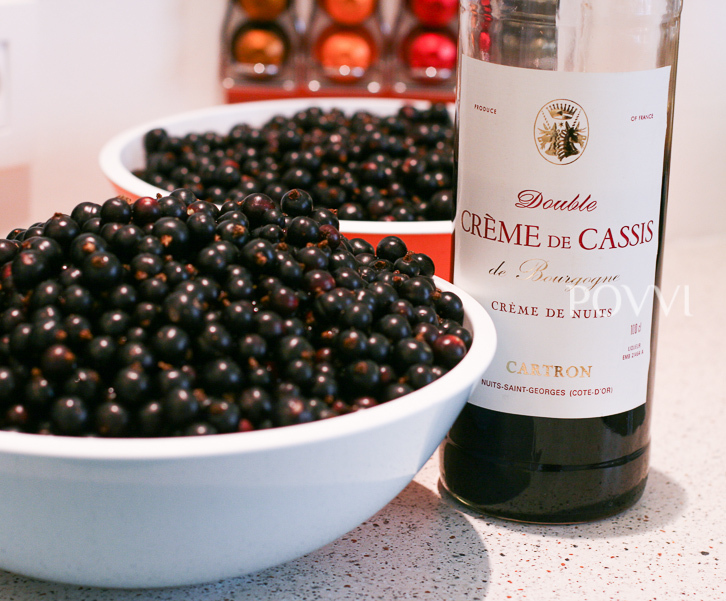 Add in the lemon juice and Créme de Cassis and mix well together. 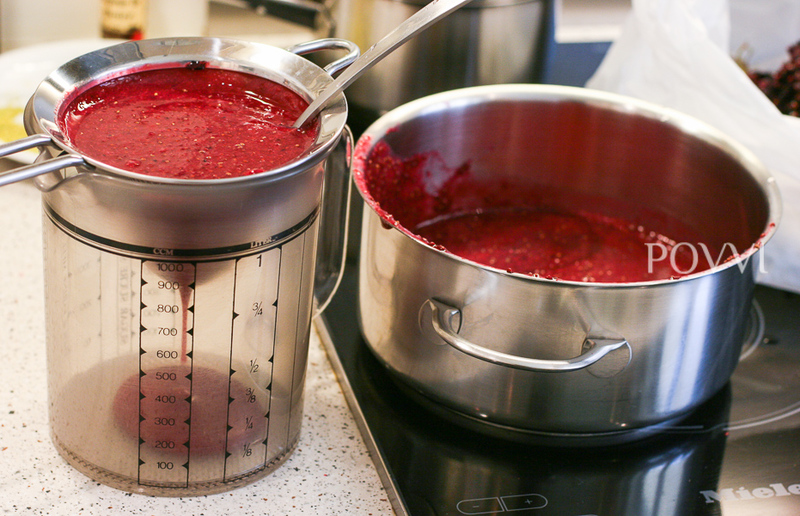 Dissolve the glucose in the mash and mix well. 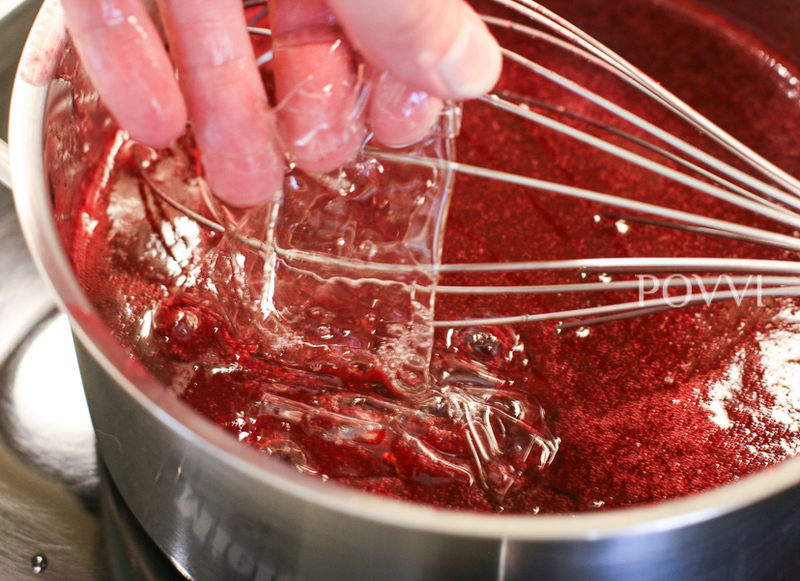 Add the egg withs and beat until the mixture is frothy. 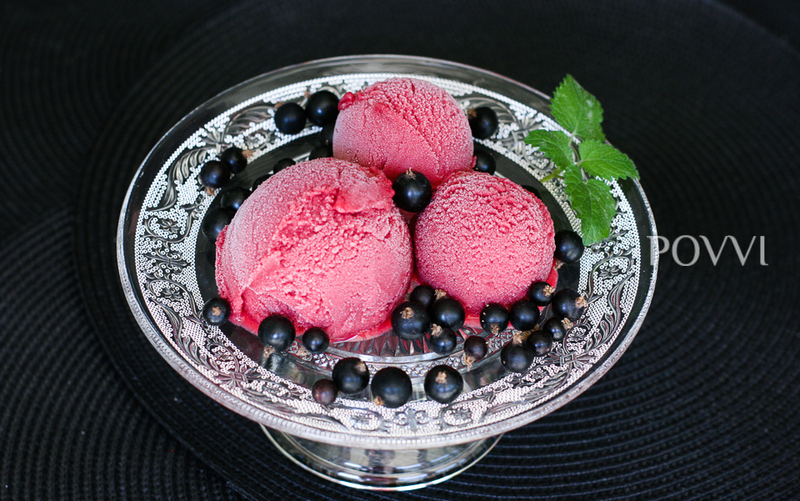 Pour into ice cream maker and process according to the manufacturer’s instructions further.